For us masterplanning is a collaborative process working with architects, planning consultants and the client to provide an interpretive landscape scheme within the proposed built surroundings, its environs and the wider locality. Our master plans establish the landscape structure and how it interrelates to the form, scale and massing of the buildings and site. It details the existing site features, artefacts, constraints and opportunities and illustrates all proposed soft landscape arrangements & themes; detailed hard landscape material selection & composition and facets such as water features, street furniture and lighting to provide a fully integrated streetscape for both users and visitors to the development. Understanding, interpreting and providing landscape masterplans as part of the team is what we do. Landscape masterplans that are inspirational, sustainable and contemporary for both commercial & residential opportunities. 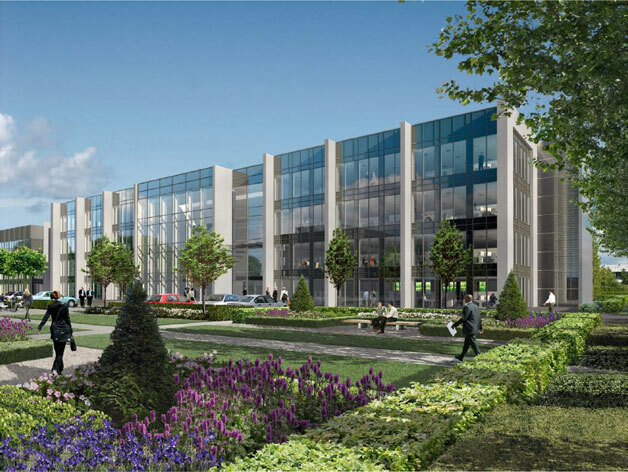 Profile: working with Nicholas Hare Architects Viewpoint formed part of the team developing the landscape masterplan for the campus of offices, the details of which later formed part of the reserved matters planning application.